Elaine Haw, DVM in LOCATION, ST | Ocala Equine Hospital, P.A. Dr. Haw earned a B.S. in Agriculture Business from the University of Tennessee at Martin and her Master of Business Administration from Middle Tennessee State University. She then went on to graduate from the University of Tennessee College of Veterinary Medicine. 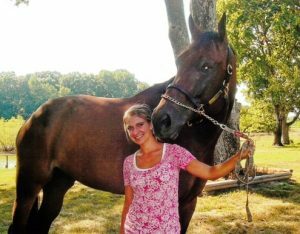 Her main professional interest is equine sports medicine. Dr. Haw was raised on a farm, surrounded by animals. She received her first pony at four years old and was hooked. Through the years, she has earned many top honors including All American Quarter Horse Congress Champion along with numerous top five placings, top ten at the AQHA World show, and national year-end high point champion. She continues to ride and show her home-bred horses in hunter/equitation events.